The influence of mobile on consumers' habits is everywhere across the shopper's journey. Our latest consumer research found that even while in-store, shoppers are turning to their mobile devices for product information. 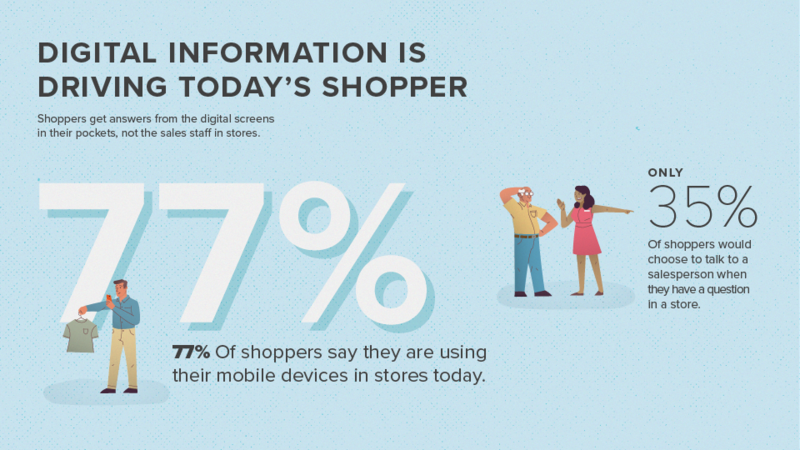 In fact, a notable 77 percent of shoppers use a mobile device while shopping in-store. This compares to just 35 percent of shoppers who prefer to speak to a salesperson if they have questions about a product. Consumers are in charge of their shopping journey more than ever before, and these facts must have an impact on your digital strategy. 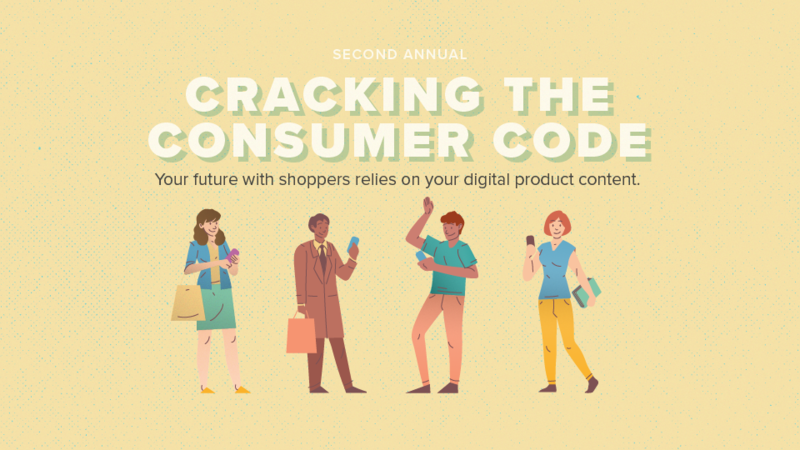 In our second annual Cracking the Code consumer research, we asked 1,000 online shoppers what makes them choose which brands and retailers to shop and buy from. Our research found 87% of shoppers said that detailed product content was extremely or very important to their purchase decision. With so many turning to mobile while shopping in-store as well, the need for product content on every channel has never been more essential. Download the full eBook to learn more about shoppers behavior and preferences based on their age, what they are buying and where they start their product search.